Delegations from the Croatia, Czech Republic, Germany, Hungary, Poland, Romania, and Slovakia are invited as regular participants. CEOI 2015 was held in Brno, Czech Republic (29 June – 4 July, 2015). CEOI 2014 was held in Jena, Germany (18. – 24. June 2014). 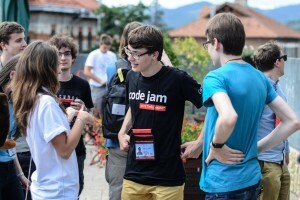 CEOI 2013 was held in Primošten, Croatia (13. – 19. October 2013). CEOI 2012 was held in Tata, Hungary (7-13 July 2012). CEOI 2011 was held in Gdynia, Poland (7-12 July 2011). CEOI 2010 was held in Košice, Slovakia (12-19 July 2010). CEOI 2009 was held in Târgu Mureş, Romania (8-14 July 2009). CEOI 2008 was held in Dresden, Germany (6-12 July 2008). CEOI 2007 was held in Brno, Czech Republic (1 – 7 July 2007). CEOI 2006 was held in Vrsar, Croatia (1 – 8 July 2006). CEOI 2005 was held in Sárospatak, Hungary (28 July – 5 August, 2005). CEOI 2004 was held in Rzeszów, Poland (13 July – 17 July 2004). CEOI 2003 was held in Münster, Germany (5 – 12 July 2003). CEOI 2002 was held in Košice, Slovakia (30 June – 6 July 2002). CEOI 2001 was held in Zalaegerszeg, Hungary (10 – 17 August 2001). CEOI 2000 was held in Cluj-Napoca, Romania (24 – 31 August 2000). CEOI 1999 was held in Brno, Czech Republic (2 – 9 September 1999). CEOI 1998 was held in Zadar, Croatia (20 – 27 May 1998). CEOI 1997 was held in Nowy Sącz, Poland (17 – 24 July 1997). CEOI 1996 was held in Bratislava, Slovak Republic (9 – 13 October 1996). CEOI 1995 was held in Szeged, Hungary (29 May – 3 June 1995). 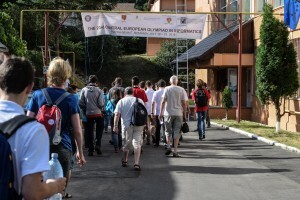 CEOI 1994 was held in Cluj-Napoca, Romania (27 – 31 May 1994).